No matter what kind of conversion you’re trying to get – a sale, a lead, a download, or something else – there’s no question that you can always be making improvements that will increase the amount of conversions you’re receiving. When it comes to attracting potential students to a college or university, there’s no question that things are more competitive than ever. Accordingly, it’s in every educational institution’s best interest to occasionally re-evaluate their web marketing and conversion optimization strategies. Recently, we gathered data from over 9,000 colleges and universities to get an idea of what they’re doing to attract prospective students, and how they’re converting them into full-fledged members of their community. If you want to take a look at what we’ve found, you can download the report for free. Take a look, and let us know what you think. Infodoodles.com See more of Brian’s educational infodoodles. SEO Copywriting's Top 12 Guest Posts of 2012 Brian was named one of SEO Copywriting’s best guest posters from 2012! 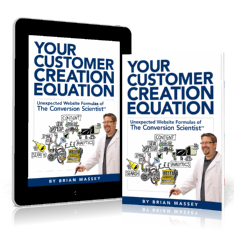 Shopify Blog's Reading List – 30 Books to Help Increase Your Sales Your Customer Creation Equation has been named one of the 30 best books to help increase sales, according to Shopify. 30 Bite-Sized Writing Tips From 30 Great Bloggers Brian is one of 30 writers offering tips on blogging. Book Signing at Content Marketing World Don’t miss my presentation and book signing. 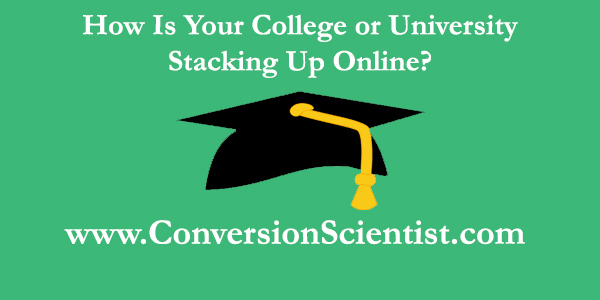 Conversion Quiz: How Confident Are You In Your Conversion Knowledge? You really should get this by email.